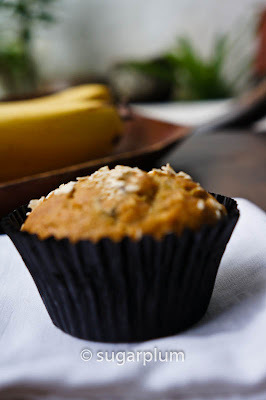 banana muffins baking out in the mornings ....it's enough to coax the most comatose from the arms of Morpheus. There are some fruit and muffin combinations that always go together. 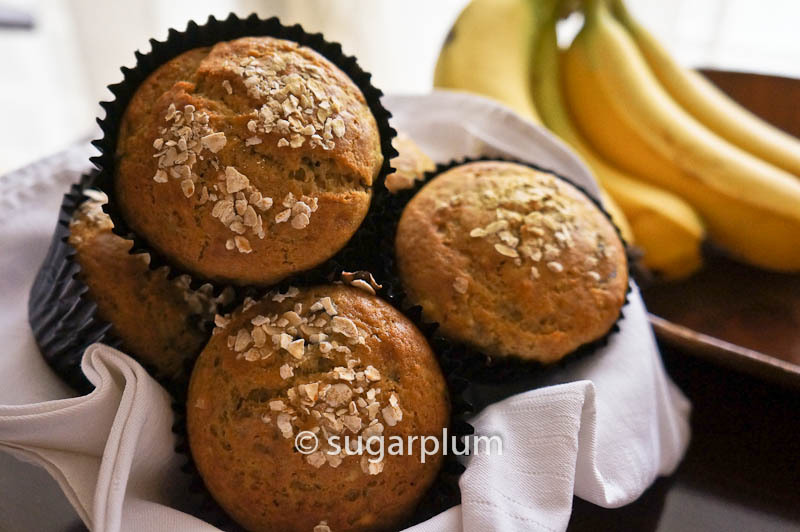 Bananas and muffins are like bananas in pajamas. Remember them? B1 and B2. Lol. 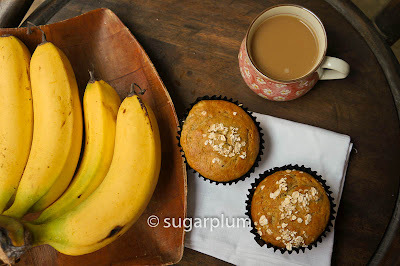 After making the blueberry and goji berry muffins, I decided to make some banana muffins. There was a comb of bananas ripening on the counter crying out to be used. 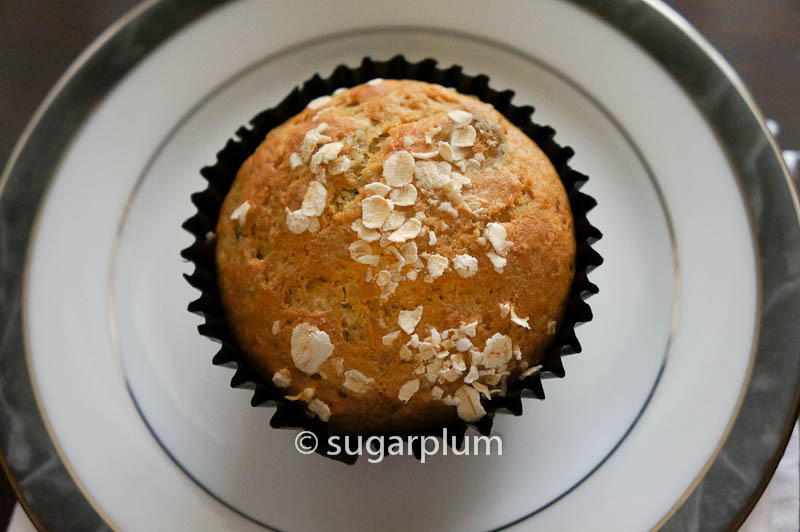 This is a tried and tested recipe which bakes out perfectly every time without fail. And I love that there's nothing complicated about any of the ingredients. The bananas, cinnamon and vanilla combine into the most delicious scent - eat your heart out Jo Malone! 5. In a second bowl, mix the eggs, milk, honey and vanilla extract. Stir in the mashed bananas. 6. Make a well in the center of the dry ingredients and stir in the egg/milk/banana mixture. Don't overmix. Batter should be lumpy.